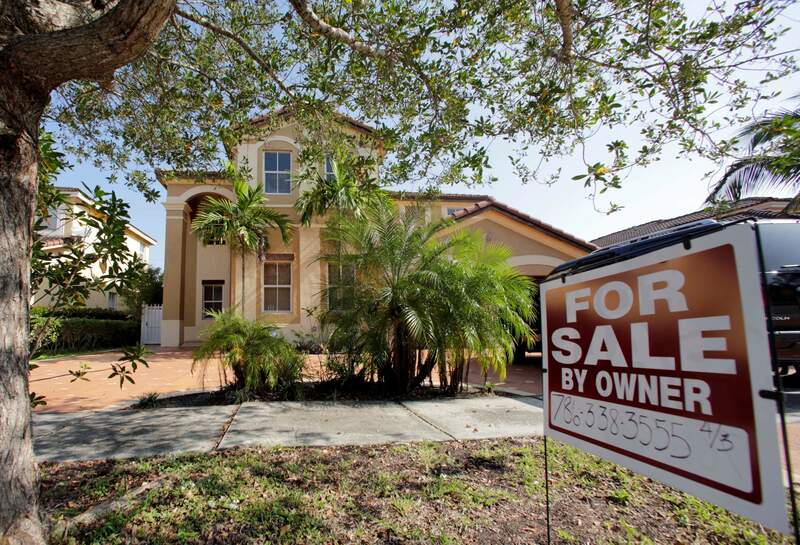 Existing home sales pick up speed in U.S. The National Association of Realtors reported home sales rose 3.3 percent in January to a seasonally adjusted annual rate of 5.69 million. WASHINGTON – Americans shrugged off rising mortgage rates and bought existing homes in January at the fastest pace since 2007. Home sales rose 3.3 percent in January from December to a seasonally adjusted annual rate of 5.69 million, the National Association of Realtors said Wednesday. Steady job gains, modest pay raises and rising consumer confidence are spurring healthy home buying even as borrowing costs have risen since last fall. Some potential buyers may be accelerating their home purchases to get ahead of any further increases in mortgage rates. Buyers are snapping up homes, with the typical house for sale remaining on the market for just 50 days, compared with 64 days a year ago. Strong demand is pushing up median home prices, which jumped 7.1 percent from a year earlier to $228,900. Mortgage rates have climbed since the presidential election. Investors are anticipating tax cuts, deregulation and infrastructure spending will accelerate growth and push up inflation. That has caused investors to cut back on their bond holdings, pushing up yields. The average rate for a 30-year fixed mortgage was 4.15 percent last week, according to mortgage buyer Freddie Mac. While that has dipped since earlier this month, it is much higher than last year’s average rate of 3.65 percent. By some measures, the housing market has fully recovered from the bust that began in 2006. Yet its newfound health is creating its own set of challenges. The number of homes for sale remains unusually low, forcing buyers to bid up prices, especially in sought-after cities such as San Francisco, Seattle and Nashville. Just 1.69 million homes were on the market nationwide in January, near the lowest level since records began in 1999. Last year, low mortgage rates helped offset rising home prices. Yet now both are rising, which could hamstring sales in the coming months. The strength in sales should lift growth going forward, as new homeowners purchase furniture, buy appliances and spend more on landscaping and outdoor equipment. Home sales also tend to spur renovations, which helps to update aging properties and generates additional construction work for the broader economy. New research released Wednesday by the contractor site BuildZoom found that homes in metro Atlanta were roughly three times more likely to undergo renovations a year after being purchased than a typical property would. In Los Angeles, renovations are 4.6 times more likely a year after the sale, a pattern that gets repeated in other metro areas. The findings suggest that the upfront costs of housing can be significantly greater because of needed renovations after a period of weak sales, BuildZoom chief economist Issi Romem said in the analysis. AP Economics Writer Josh Boak contributed to this report.